Bird by Bird: Some Instructions on Writing and Life. Bird by Bird is a classic book on writing. 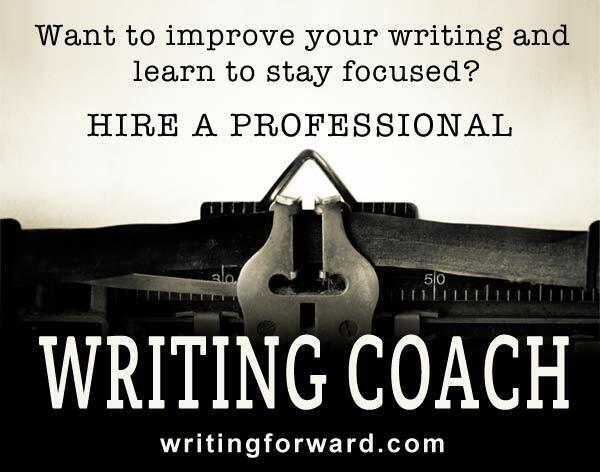 You’ll hear about it in writer circles, at workshops, and it will appear on book lists by some of your favorite authors. This book had been sitting on my to-read list for years by the time I got around to reading it, and now I can see why it’s so popular. When I read books on the craft of writing, I’m looking for one of two things: I want to learn something new that helps me improve my writing, or I want to be inspired and motivated to get some writing done. In the first few days of reading this book, I got a lot of writing done! Every time I finished reading a chapter or two, I would hurry over to my desk and type furiously. So this book definitely fulfilled one of my two criterion for what makes a good book on the craft of writing. The full title of this book is Bird by Bird: Some Instructions on Writing and Life. It’s part writing advice, part memoir. However, the memoir material is different than what you find in Stephen King’s On Writing, which focuses on his life as a writer, whereas Lamott delves into her personal life, sometimes sharing stories that relate to her career and experiences as an author and other times sharing stories from her life that are unrelated to writing, although she might have used them in her writing. This is a useful book for general-purpose creative writing, with chapters that cover first drafts, false starts, writer’s block, and knowing when you’re done. This book also does a good job conveying information about the life of a writer, although it’s only one writer’s experience and certainly not representative of all. 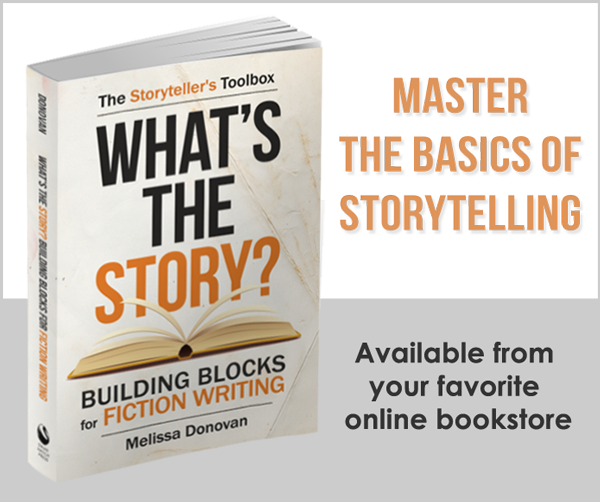 Most of the material is applicable to various forms of writing, but there is a slight emphasis on writing fiction and memoir, with chapters on character and dialogue and various bits of advice about drawing from your lived experiences for writing projects. 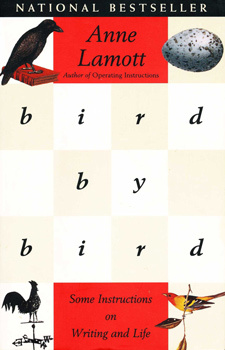 As a traditionally published author, Lamott offers some useful anecdotes about her experiences with agents, editors, and publishers. These aren’t presented explicitly as career advice, but they do offer some valuable insight. For the most part, Bird by Bird focuses on craft rather than the publishing and marketing side of things. I’ve read dozens of books on the craft of writing. At some point, you stop picking up new bits of advice that you can apply to your writing. For me, it’s getting harder to find new insights about general, creative writing. That doesn’t mean I don’t have anything to learn — there’s always more to learn! But I’ve already picked up (and integrated) most of the general advice floating around out there. So for me, a book like this serves as a refresher. Therefore I think it will provide fresh wisdom for newer writers while providing reminders for more experienced authors. And refreshers are necessary. I’ve often been perusing a book on the craft and come across some bit of writing wisdom that I’ve known for a while, but I’ll gain a deeper understanding of it, or I’ll realize that it’s just the technique or method that I need for some project I’m currently developing. Although I found this book inspiring and motivating, some sections felt dated (referring to late-night talk-show hosts of the 1990s); and some of the jokes either fell flat for me, or I would find myself wondering if something was meant to be taken literally or as a joke. Having said that, I got a lot out of this book. I found the personal stories interesting, and as mentioned earlier, the book made me want to do some writing — and that’s always beneficial. I would definitely recommend Bird by Bird: Some Instructions on Writing and Life to anyone who’s interested in creative writing. Whether you’re looking for tidbits about the life of a writer, seeking new writing tips and techniques, or just want some inspiration and motivation to fuel your writing, you’re sure to find something useful within the pages of this book.